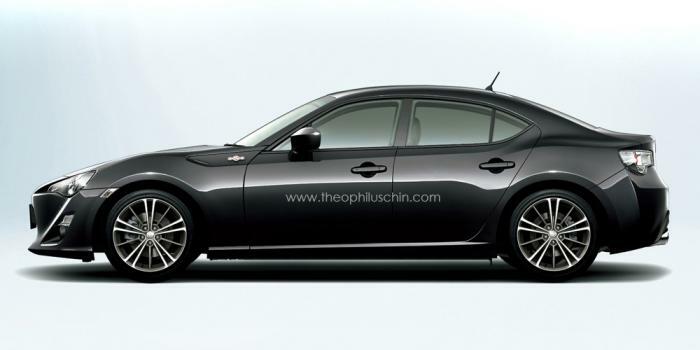 Toyota 86 Sedan Approved for Production! Before you start complaining about why this is a ridiculous idea and why on earth would they approve a sedan variant while dropping the idea of a convertible version? Well, think about the bright side of having an 86 sedan. Remember the Datsun 510 or the BMW E30 sedans? Well you can think of this 4 door 86 as their modern alternative; a cheap, practical and a simple performance sedan. Plus, the wife is less likely to complain about it, the kids will probably like it and the insurance quote could go lower.